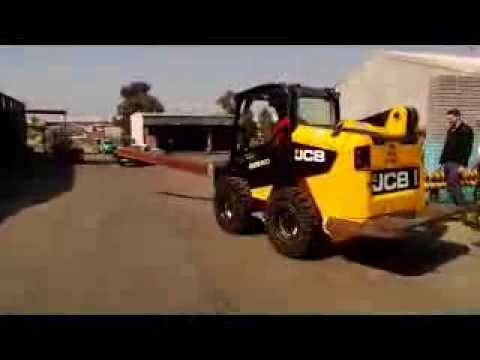 Skid steer loaders are versatile machines with a variety of applications, from material handling to ground preparation to earthmoving. It's not uncommon for a large construction, agriculture or landscaping fleet to include several. 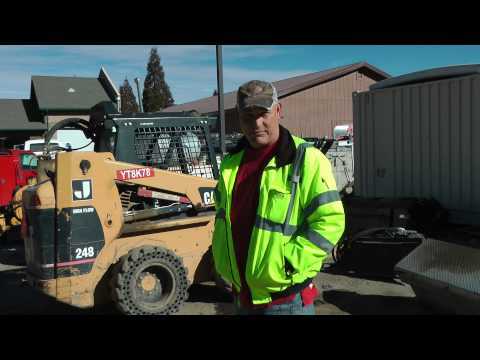 If your work takes you into rough terrain, you know how important it is to find the right tires for your skid steer loaders. Often, a set of pneumatic tires won't offer the performance you require and can put you at risk of punctures, unanticipated downtime and lost productivity. Zero Flats. Zero Down Time. Nu-Air® integrates the strength and stability of a solid tire with the smooth, cushioned ride of a pneumatic tire. Choose a McLaren flat-free skid steer tire for performance, comfort and longevity. Our products work great on their own or with our over-the-tire tracks. Keep reading to learn more. 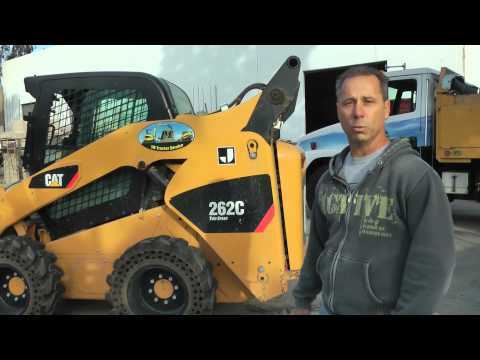 Nu-Air Dirt Terrain (DT™) tires: The Nu-Air DT is our best-selling and most versatile replacement skid steer tire. It features a deep tread design for added traction in rough terrains such as dirt, sand, mud and rocks while still delivering a smooth, balanced ride. Sizes range from 8.5x12 (23x8.5-12) to 14x17.5 (36X14-20). Nu-Air All Terrain (AT™) tires: The Nu-Air AT builds on the strengths of the DT series by offering a wide footprint design for better performance on hard, flat surfaces. With 10 percent more rubber and 10 percent deeper tread, AT tires make it easier to lift heavier loads when working on asphalt or concrete — perfect for demolition, scrap work and other applications. Two sizes are available: 10x16.5 (30x10-16) and 12x16.5 (33-12x16). Nu-Air XDT™ tires: The Nu-Air XDT series is the extreme-duty version of the DT line — suitable for use in the most demanding applications. These models feature a bonded tire and rim to eliminate the risk of separation when pushing or pulling high-torque loads. We offer our Nu-Air XDT tires in 12x16.5 (33x12-22) size, with an optional orange, non-marking surface. Nu-Air AirMonster™ tires: The AirMonster series is a wider version of the Nu-Air DT, available in 32.5x15-16 size only. Use it for any application requiring lower ground pressure and increased flotation. Maximizer™ tires: The Maximizer series is a budget-oriented version of the DT, featuring the same tread pattern but a larger rim. It is pound for pound the best value in the market for its price range. These tires are a good choice for off-road use in construction, quarry and mining job sites. Sizes include 10x16.5 (31x10.5-20) and 12x16.5 (33x12-20) in standard and Lite configurations. Learn more about our lineup of heavy duty rubber skid steer tires by contacting a McLaren Industries representative online or by calling us at (800) 836-0040. This is our most versatile and best-selling McLaren tire. The deep tread design will give you superior traction on the vast majority of off-road conditions and terrains. Our exclusive aperture design gives you a cushioned ride without the bounce. Most of all, you can do the work without being concerned with flats or extensive tire damage. This tire is by far the best bang for your buck! Combine a set of Nu-Air Tires with McLaren OTTs to get even greater performance from your skid steer! The Nu-Air All Terrain (AT) tires are a “beefed up” version of our DT tires. 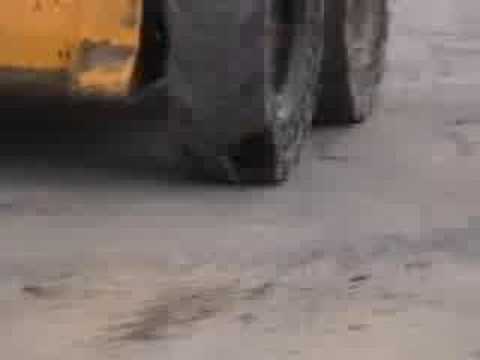 They are designed to perform better and wear slower when used on hard surfaces such as asphalt, pavement and concrete. Compared to our Dirt Terrain (DT) tires, the Nu-Air AT tires have about 10% more rubber and 10% deeper tread. These features give a smoother ride on hard surfaces while still providing great traction while working off-road. The additional weight allows you to lift and move heavier loads easily. If you are working 75% of the time or more on hard surfaces or are doing demolition or scrap yard work, these are the flat proof tires for you!. 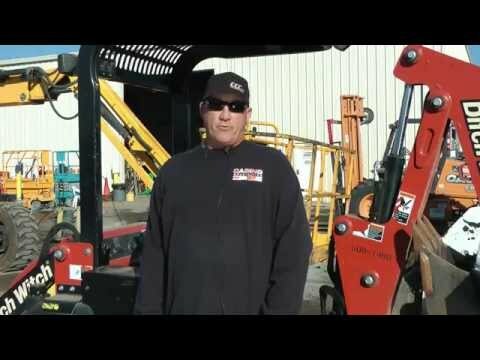 Maximizer Tires: The solution for the budget conscious equipment user. The Maximizer tires are the economy version of our DT tires. With the same tread design, the Maximizer tires will perform as well as the DT tires when it comes to traction and of course, no flats. They are made for those who are using their machines part time or only need flat proof tires occasionally. Having a larger rim, they still maintain a cushioned ride. 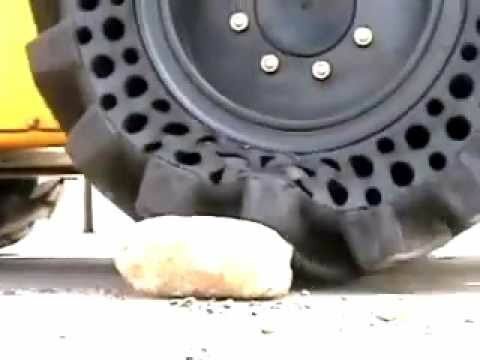 They will not last as long as the DT tires but will still last two to three times longer than pneumatic tires. The Maximizer tires use McLaren proprietary Semi-Pneumatic technology. It combines the durability of solid rubber tires with the comfort of pneumatic tires. Using three layers of rubber compound and multiple shock-absorbing relief holes, Maximizer tires outperform and outlast the competition and give you the peace of mind you deserve. The XDT Series tires are our extreme duty tires. With the same tread pattern as the DT tires, the XDT tires offer excellent traction with a cushioned, flat proof ride. If you face work conditions that require extra pushing and pulling power, these are the tires for you. When there is extreme torque put on the tires, there is a possibility of the rim spinning inside the tire. These tires are bonded to the rim, eliminating the possibility of tire and rim separation and allowing you to work your hardest with ease. The AirMonster™ tires are the wider version of our Nu-Air DT tires. This wider design reduces ground pressure and increases floatation. With the same tread pattern and design as the DT tires, you will get the same cushioned flat proof ride that will wear even slower than our other long-lasting tires. Wide Footprint Design: The tread pattern design gives the same traction as our DT tires. These extra wide tires make more surface contact which reduces ground pressure and significantly extends the life of the tire.